Buying A Home Is Probably The Biggest Investments Most People Will Ever Make. And it’s a decision that will affect you for years to come. No one understands this better than e-Spection. There’s always considerable risk involved when making such a large purchase decision, but a professional inspection will significantly reduce your risk and help make the entire home buying process easier and less stressful. Often times, prospective home buyers or sellers may wish to add or optimize energy efficiency in their house, and e-Spection is not only expert in home inspection, but also in home energy efficiency solutions. e-Spection, Inc. is dually licensed and certified in energy efficiency solutions and home inspection. I’m Ernesto Malanga. 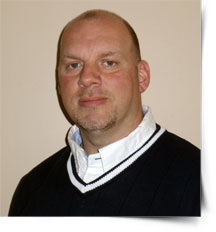 A New York State Licensed and fully insured Home Inspector and Building Performance Analyst. I have conducted many home inspections but the most important inspection has yet to be performed…it belongs to you. The purchase of a home, building, condominium, or cooperative unit is a major investment. That’s why before committing to such a big venture, a thorough inspection and evaluation of the property should be performed. This will help you make an informed and intelligent purchase decision. Areas of importance include: roof inspection, as leaks can penetrate a home and cause anywhere from minor to major damage. My tools allow for non-invasive inspection 90% of the time, though there will be times that getting to the bottom of the roof problem involves opening up an area of the home; thermal imaging using infrared to determine the hot and cold areas where you may be missing insulation or have leaks around places, like doors and windows. Remember a thorough, in-depth inspection takes time and a residence should have all heating, cooling, electrical power and water utilities running so that the home inspectors can give an accurate assessment of how everything is running on the property. e-Spection Home Inspection Services has been providing Buyer’s Inspections, Certified Move In Ready Inspections, New Construction and Phase Inspections, Builders 1-Year Warranty Inspections as well as Radon Testing, Mold Testing and Termite Inspections (WDO) to home buyers and home sellers in the following areas Long Island, Westchester County and the New York City Metropolitan areas since 2008. Does a brand new house need an inspection? Yes. A home inspection on a new house is just as important as any other home. Most builders aimto build a high-quality house, but they also must stay competitive. Surviving by cutting costs anywhere possible is usually the rule of the industry.With the construction boom of recent years,much work is done by sub-contractors which means builders only have so much control over the end result. Aren’t there municipal inspectors from the Building Department for new homes? Yes, new home builds are inspected by municipal inspectors, however, municipal inspectors look at dozens of houses each day. Imagine a brand-new subdivision, which can consist of acres of new homes to inspect. A thorough, comprehensive home inspection takes hours to complete,and many municipal inspectors simply don’t have the time to find all the construction defects. It’s crucial to protect yourself with a home inspection. When is the best time to schedule my new home inspection? For newly-constructed homes, the best thing you can do is schedule the inspection a few days before your walk-through with the builder, so that you’ll have our written report in yourhand. Also, it’s important to note that you should schedule yourone-year warranty inspection at least a full month before your one-year warranty expires. Is a home inspection expensive? It is far more expensive to skip a home inspection before you purchase. The cost of a home inspection can be a fraction of the cost of the problems that the inspection brings to light. You’re about to make the biggest purchase of your life, and this is your only chance to protect yourself with a professional home inspection.You want the best home inspection possible — saving money by using a “bargain” home inspector could cost you thousands of dollars in repair costs in the long run. What if the inspection reveals problems? No house is perfect, not even when it’snew construction. Finding problems upfront is actually a good thing. The good news for buyers is that problems found before you buy are generally the seller’s responsibility. It’s important to understand, however, that an inspection report should not be treated as a seller’s fix-it list. It is an impartial report on the honest condition of the property. Once you have your report in hand, your real estate agent can help you decide how to proceed. What are the limitations on an inspection? A home inspection is not an appraisal or a check for compliance with building codes; it’s also not an evaluation of environmental hazards. See the NYS Standards of Practice for more information on the limitations of an inspection.